Gaining Sustainability Buy-in - Tavares Group Consulting Inc. The business case for sustainability is well documented – but is it as equally well understood and being used as leverage? If so, why are some organizations still having difficultly getting and maintaining buy in, from both upper management and personnel, for their sustainability projects and goals? Let’s face it, without the support from upper management, sustainability goals are sure to fall flat. Organizational commitment is needed to establish a vision and provide direction, not to mention that if it comes from the top, employee buy-in is sure to follow. In the end, those holding the positions at the top of an organization are responsible for ensuring the business is thriving. Not only is it your job to demonstrate that incorporating sustainability and having an organization that thrives are not mutually exclusive ideals, but that a thriving business is dependent upon sustainable business practices. The opportunities to reduce costs, increase revenue and manage organizational risks should always be brought forward when seeking buy-in. 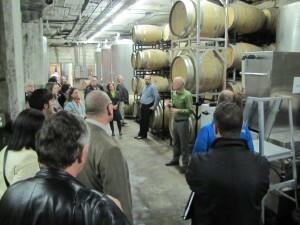 Earlier this year, Cave Spring Cellars, located in the Niagara region, began piloting a BioGill wastewater treatment system. The system is expected to save the winery approximately $7,000 annually from wastewater sewer surcharges and chemicals for wastewater odor control. 2. Revenue Growth – A&W Food Services of Canada Inc. 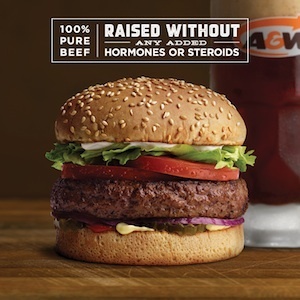 Motivated by stakeholder priorities, A&W introduced their “Better Beef” campaign in 2013, with all beef used in their burgers are hormone and steroid free. In late 2014, they announced that all chicken served at A&W restaurants would be raised without the use of antibiotics. “When we started to notice interest among Canadians about the food they eat and what’s in it, we started with beef because we’re all about great burgers,” said Susan Senecal, chief marketing officer at A&W Food Services of Canada. The brand also has a well-rounded sustainability plan focusing on waste, water and electricity reduction. The impact of these commitments can be seen at the bottom line; Q3 sales in 2014 were up by 5.7%. Contrast figure that to McDonald’s, whose sales fell by 3.3% globally during the same time period. California has experienced drought for four straight years. Recently, state officials have identified that only 20% of the water needed to support its 25 million customers and 1 million acres of farmland would be delivered. Realizing the mutual risk (loss of an essential commodity in manufacturing and agriculture) organizations such as Driscoll’s Strawberry Associates Inc., Coca-Cola North America, Gap Inc., Symantec, KB Home, and General Mills have joined the Connect the Drops Campaign to share best practices for water supply protection, consumption reduction, conservation, and stewardship. Only time will tell how successful this project will be however, the public will expect organizations that have publicly supported the Connect the Drops Campaign to deliver. A final thing to keep in mind after you have buy in from management is the importance of identifying and prioritizing all stakeholder concerns. Stakeholder buy-in support will be difficult to attain if the plan is not in concert with stakeholder priorities.